Chicka Chicka Boom Boom, does your bookshelf have enough room? For this collectible boxed set, of course it does! So begins the celebrated, rollicking alphabet chant that has been a children’s favorite for decades. As all the letters of the alphabet race one another up the coconut tree, Bill Martin Jr and John Archambault’s rhythmic text keeps the beat with Caldecott Honor illustrator Lois Ehlert’s bold, cheerful art. And the race continues in the counting-themed companion, Chicka Chicka 1, 2, 3, featuring jaunty text from Bill Martin Jr and Michael Sampson and vibrant illustrations from Caldecott Honor illustrator Lois Ehlert. Packaged together in a handsome boxed set, these two Chicka Chicka classics make an ideal gift and belong on every bookshelf! 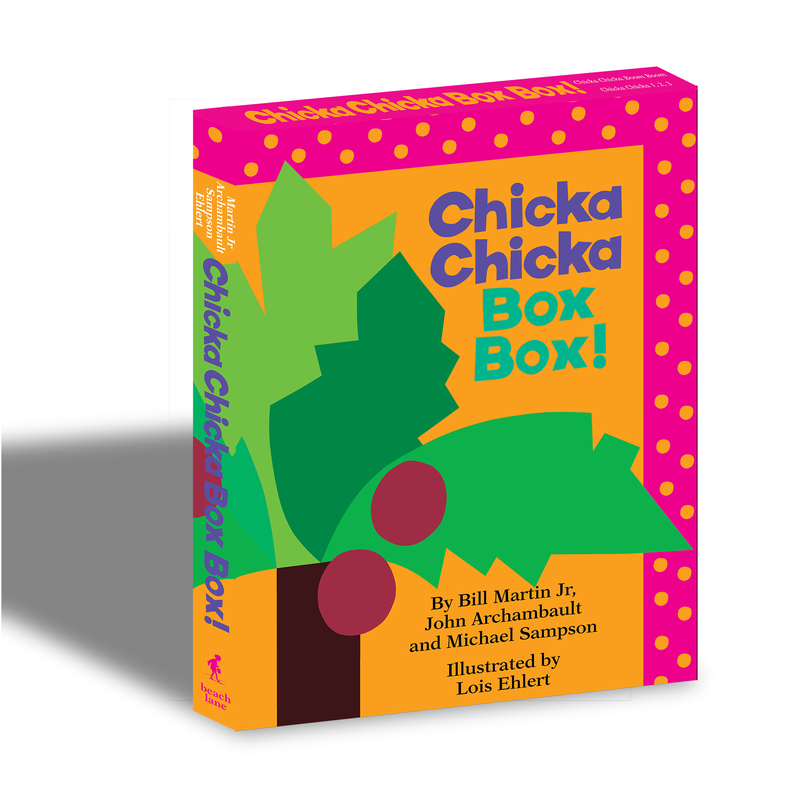 Book Cover Image (jpg): Chicka Chicka Box Box!